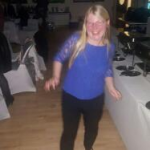 Hello my names Victoria im 36 years old with over 18 years experience in working in childcare settings. I have wotked in breakfast clubs/afterschool club and school holiday clubs. Also day nursery and mainly primary schools as an early years educator/ teaching assistant nursery and reception classes. Im looking for an early years teaching assistant/ early years edilucator job in a primary school in the early years foundation stage. Im interested in working in the broughs of crayford,bexley,lewisham or inner London. looking to earn pro rota from 19,000-25,000 a year. Im looking for a contracted job. i have experience in breakfast after school and holiday clubs. worked in a day nursery and for the past 11 years worked in a London primary school in the early years department in the reception class and nursery class. I am currently working in a tempory possition as a teaching assistant in a reception class in Dartford kent.